Snoods to keep your hound warm and comfy. The total purchase price from the sale of the items, will be donated to KGR. 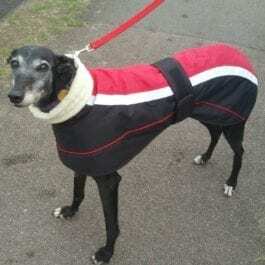 Keep your greyhound warm with a snood – the dogs find them very comfortable and they keep the dogs neck warm and cosy. 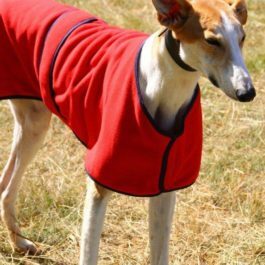 We have various snoods in stock – some knitted by the KGR volunteers, or made in soft plush fabric by the KGR volunteers. 100% of the purchase price for these items goes to KGR. Peak caps – with snood! 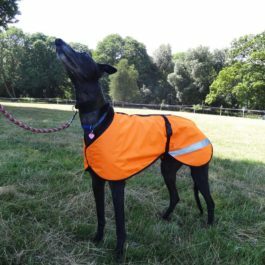 These are for smaller female greyhounds or lurchers.